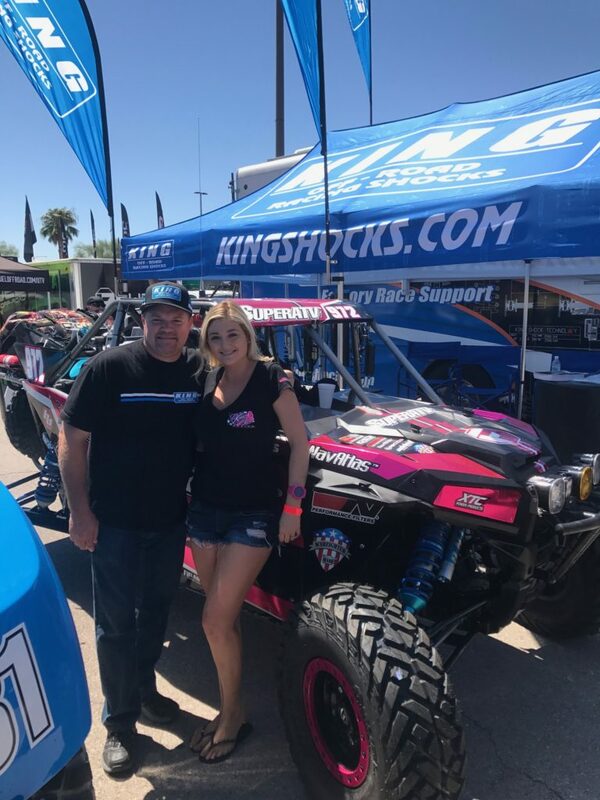 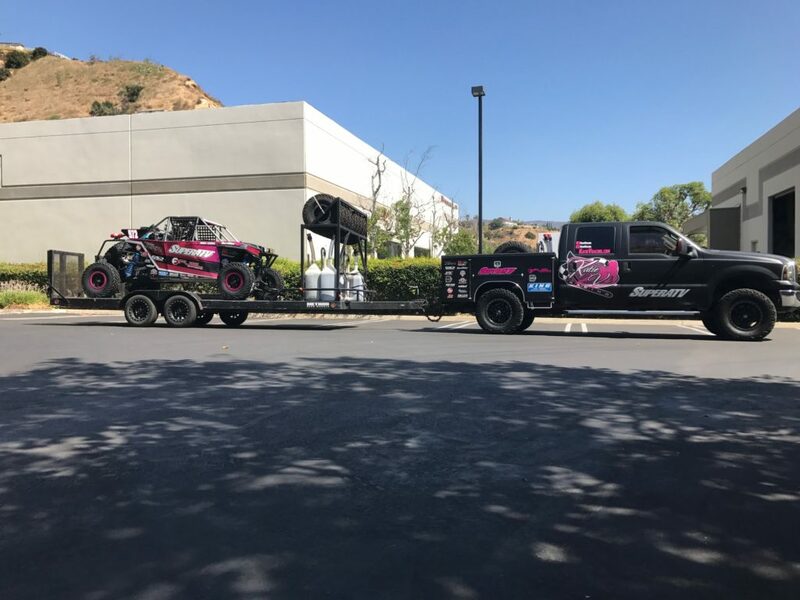 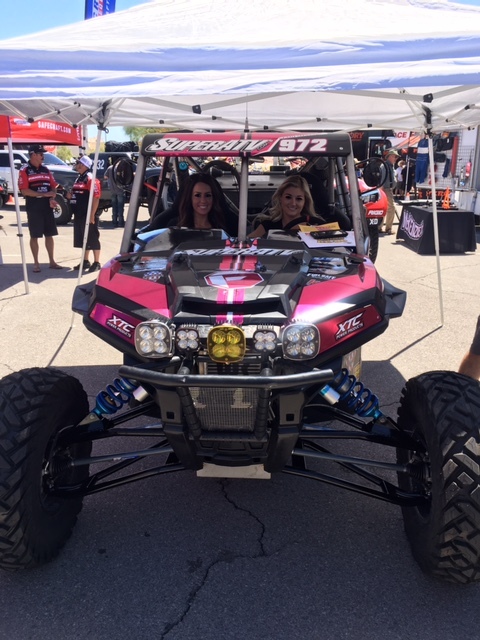 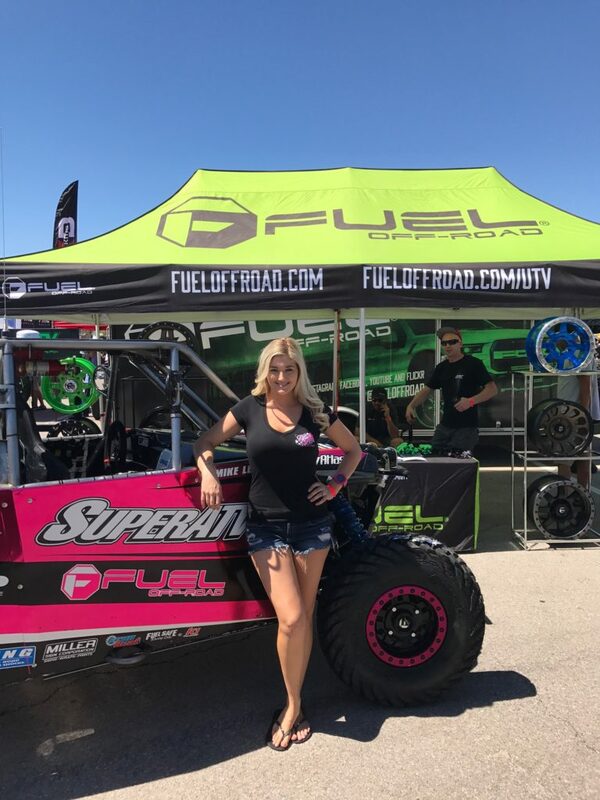 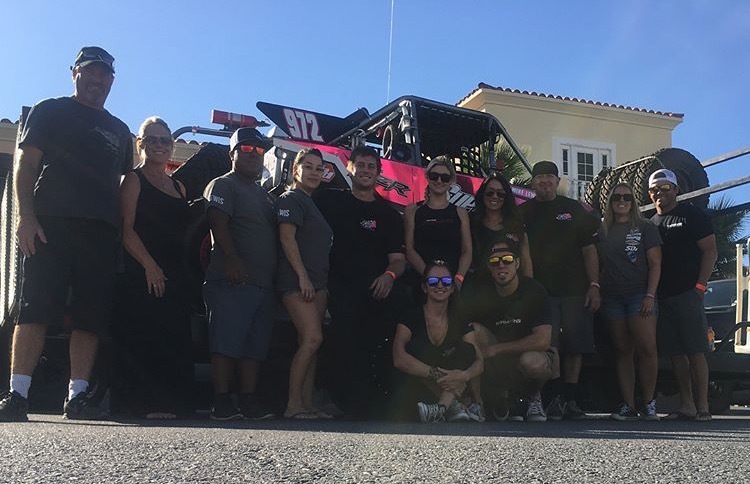 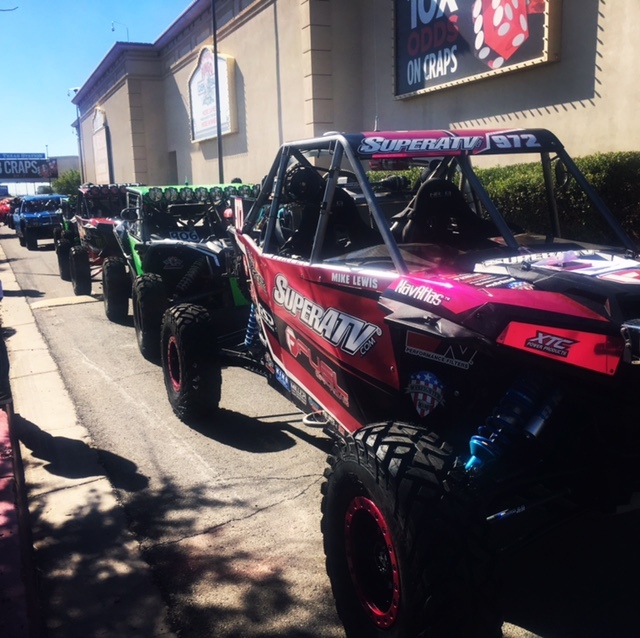 San Clemente, CA (08/23/2017) – Super ATV’s Katie Vernola stood strong against everything Mother Nature and the racing God’s threw at her to finish 19th in the Vegas to Reno race. 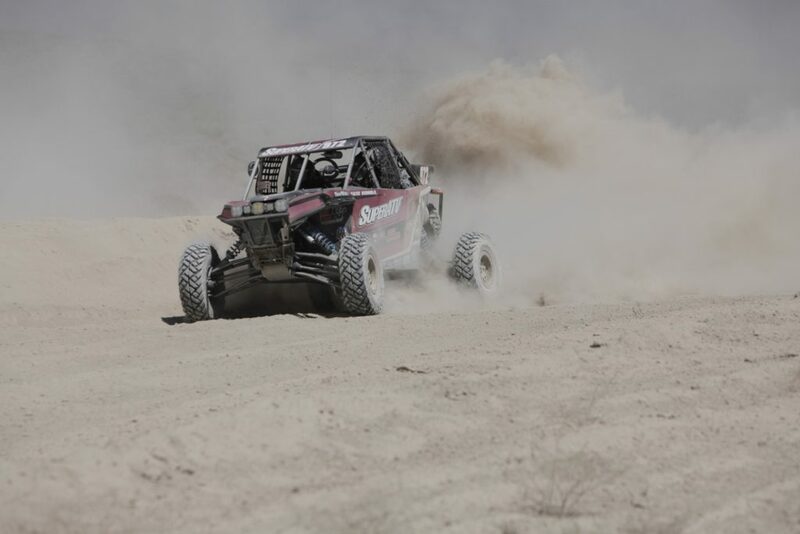 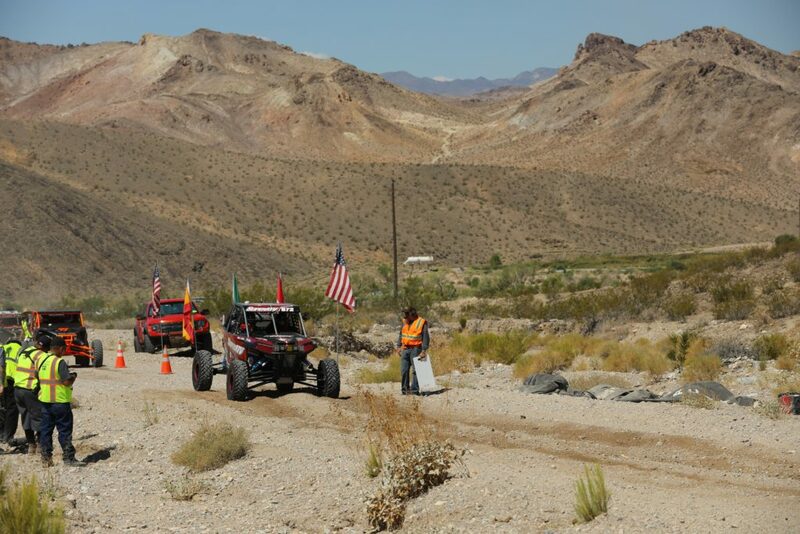 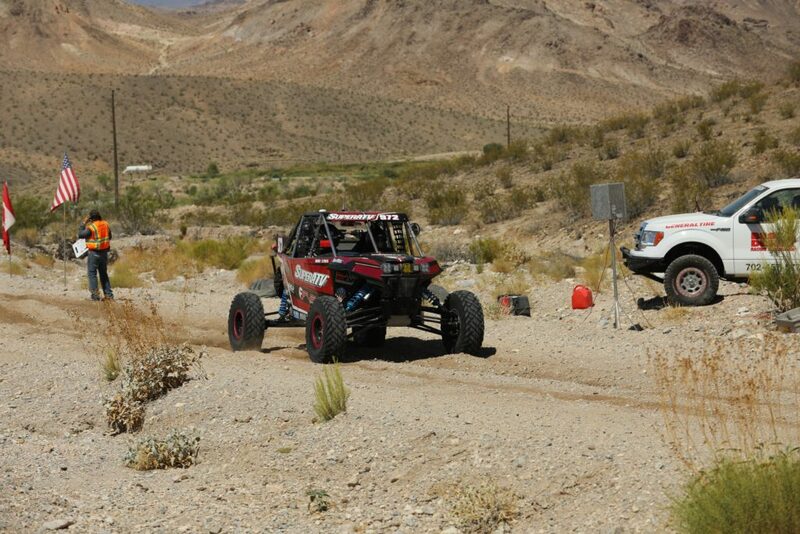 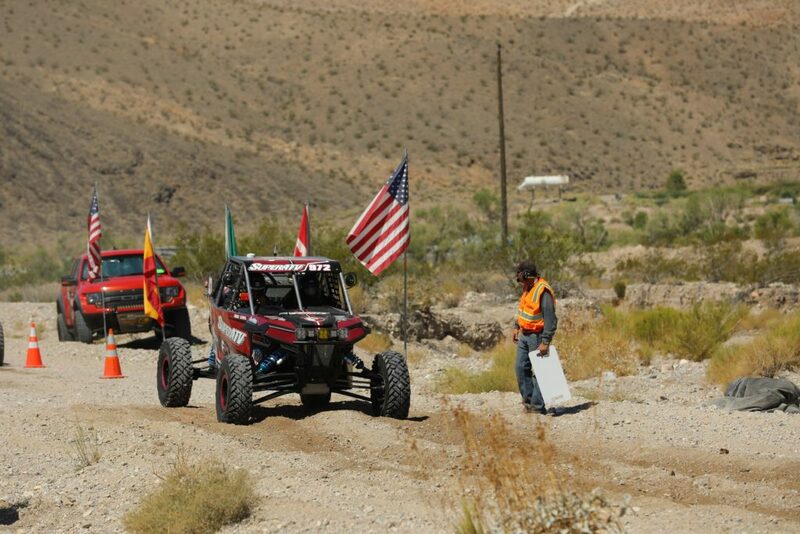 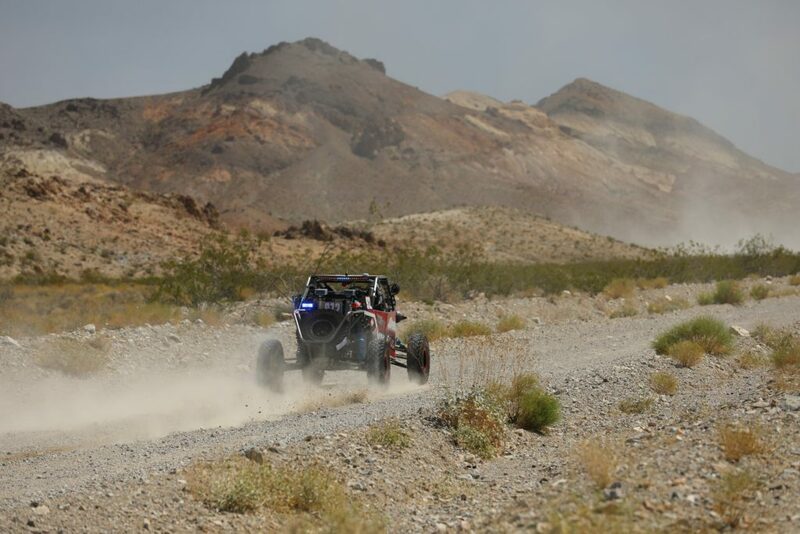 The 500-plus-mile event was round four of the Best in the Desert Series. 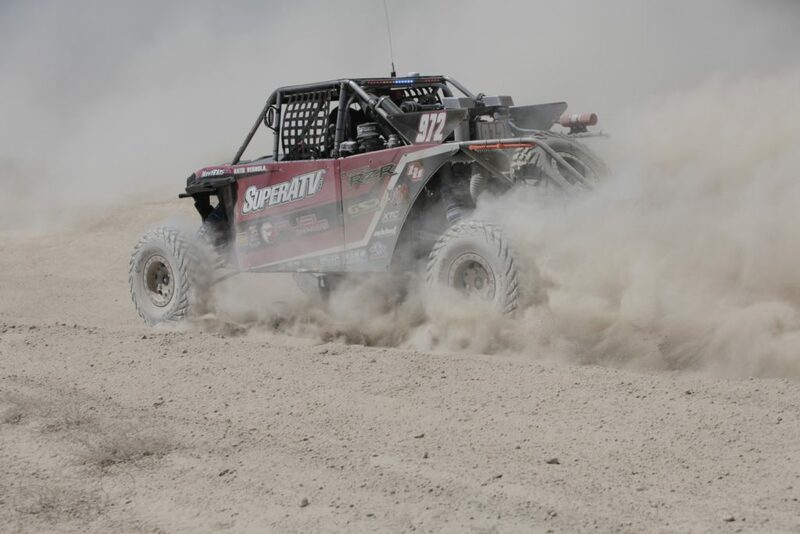 With little rain leading into the event, the course was covered in deep silt and dust quickly obscured visibility. 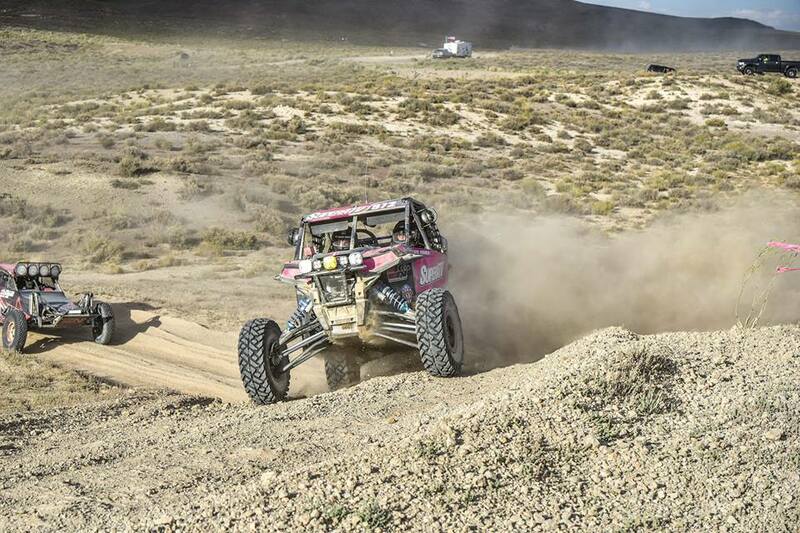 Vernola, teamed with co-driver Mike Lewis, was running with the lead pack until just before pit six when a loose exhaust manifold caused a malfunction in her Polaris’ engine management system. 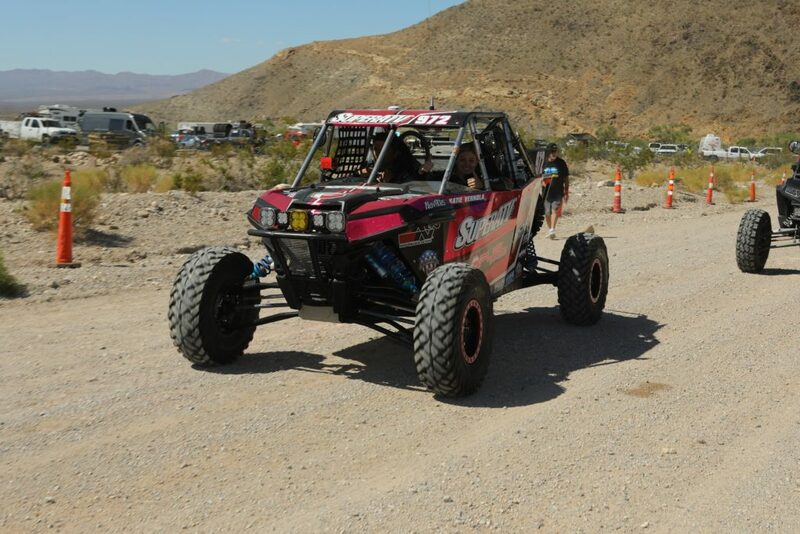 Vernola limped the car into the pits where her team got to work. 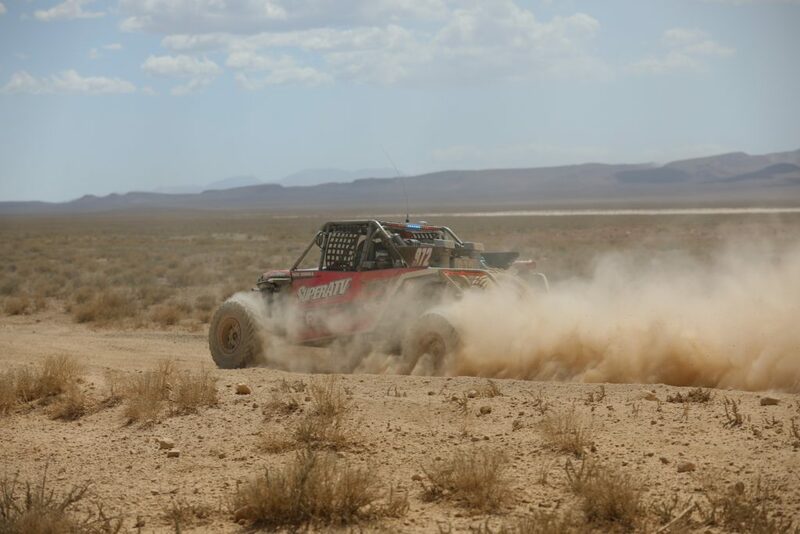 Vernola ran a consistent pace from there, dodging buried boulders and making it through the dust. 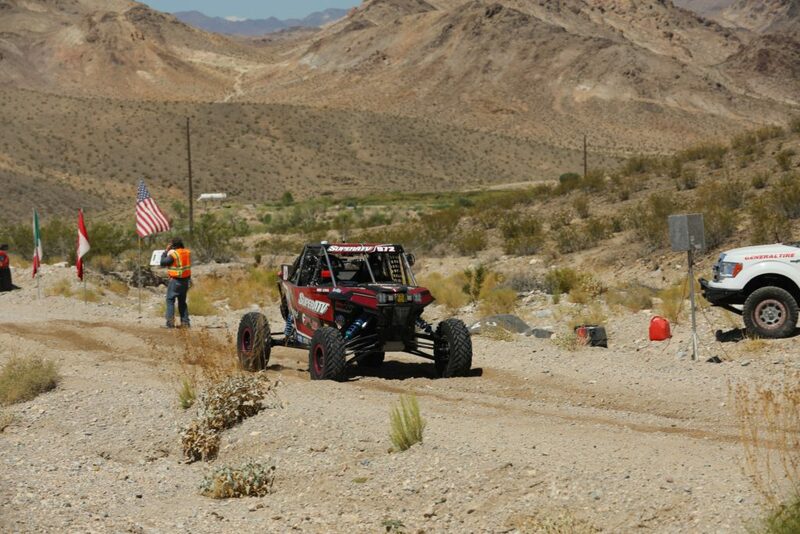 While the attrition rate was high, Vernola used smart racing to make it to the finish. 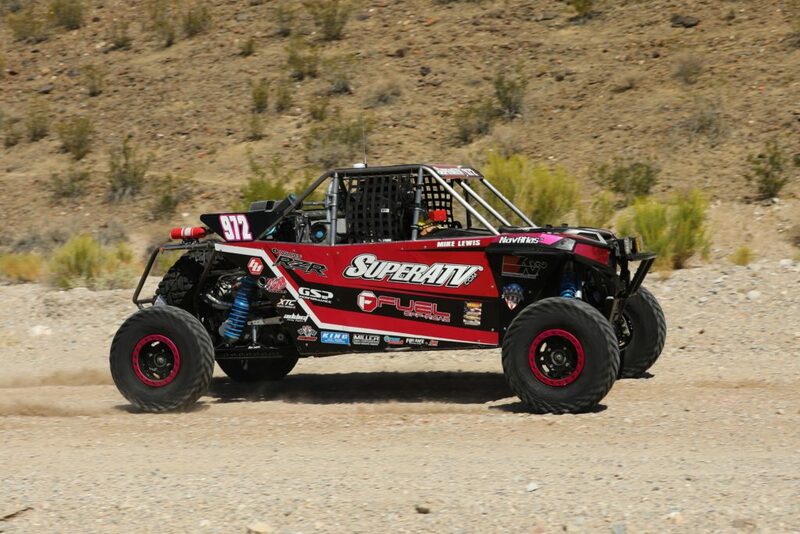 Vernola took full advantage of K&N’s superb filter technology to keep her engine breathing clean air. 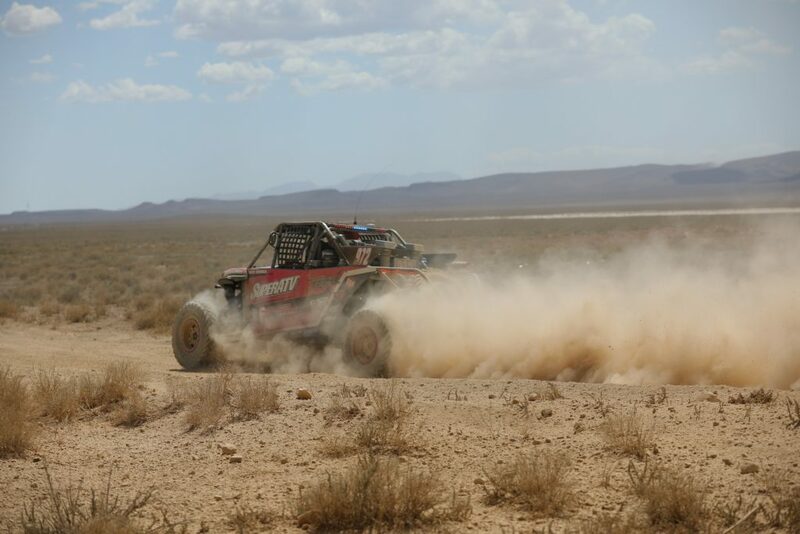 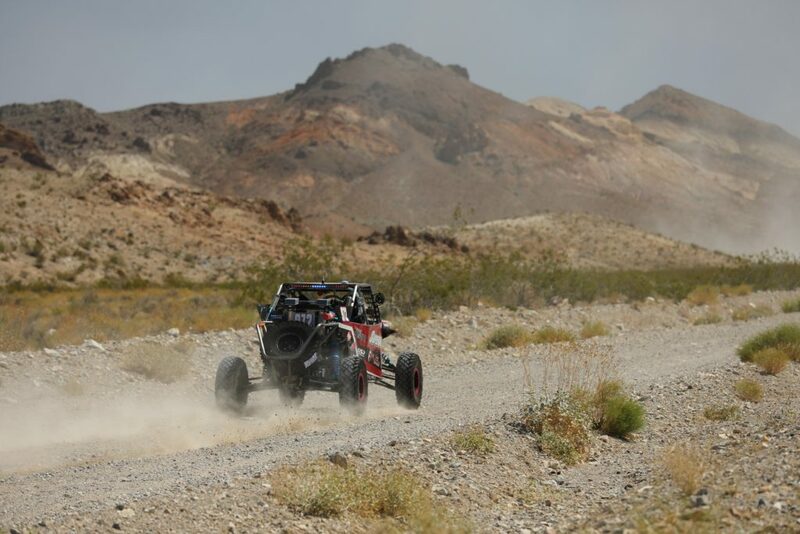 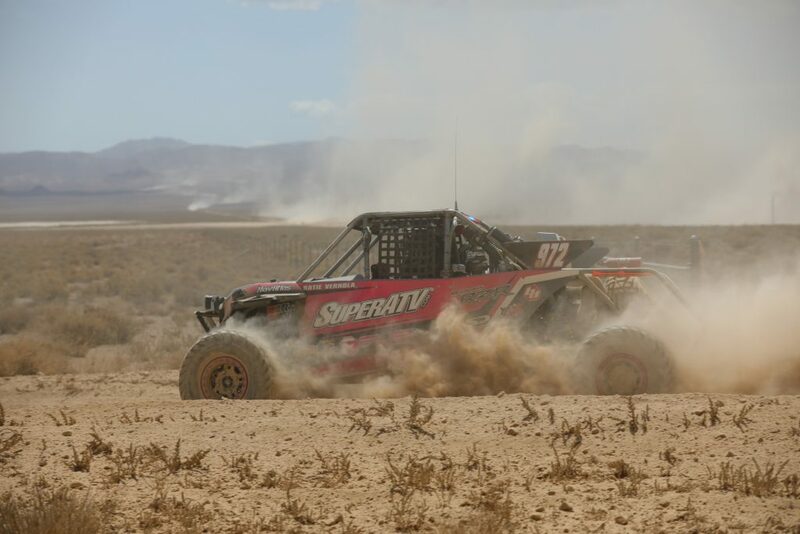 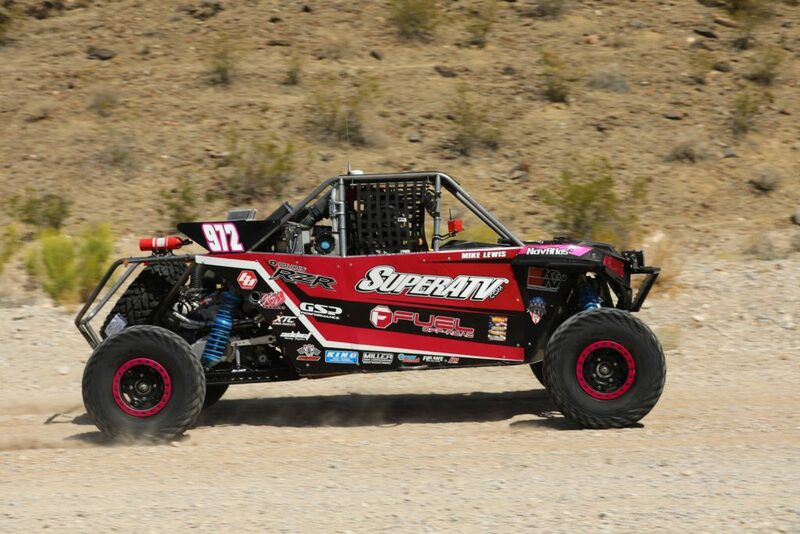 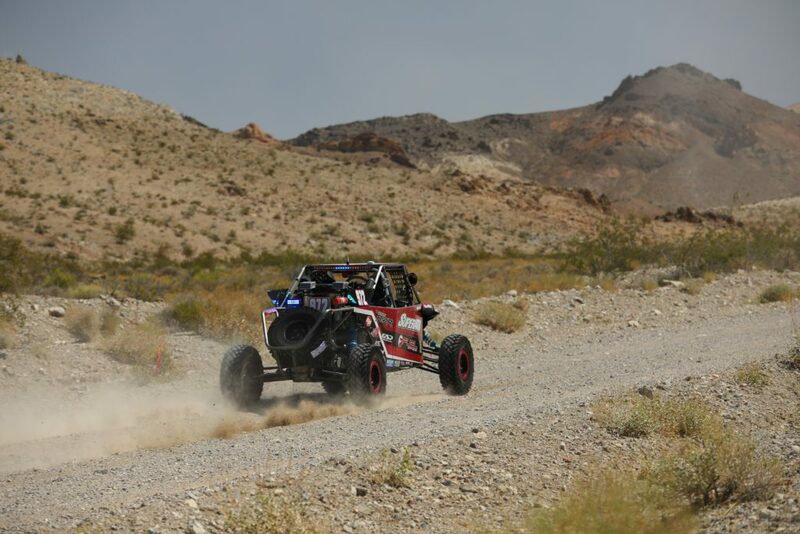 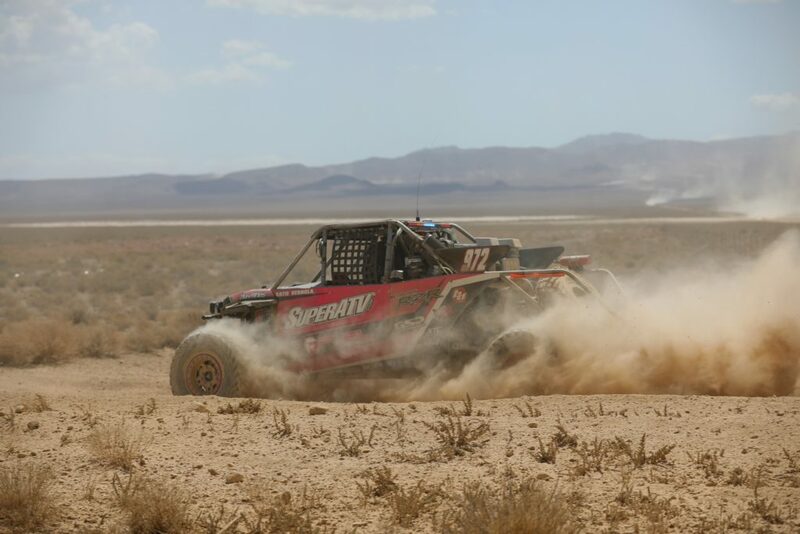 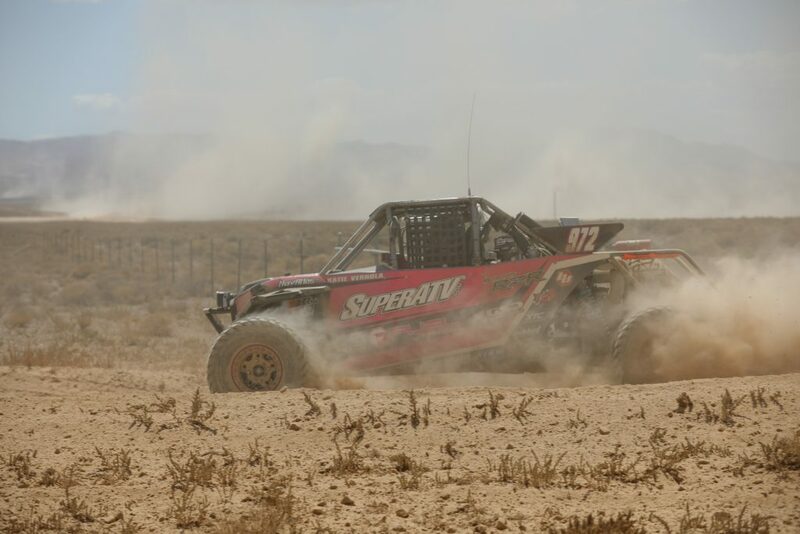 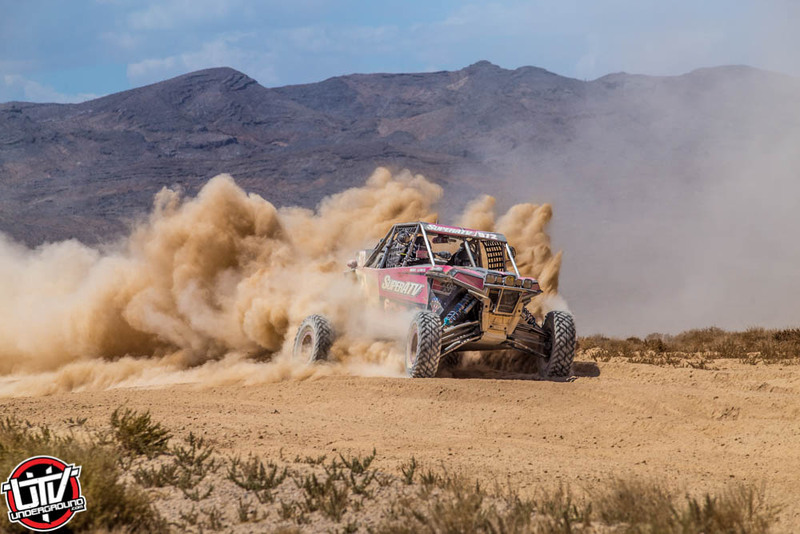 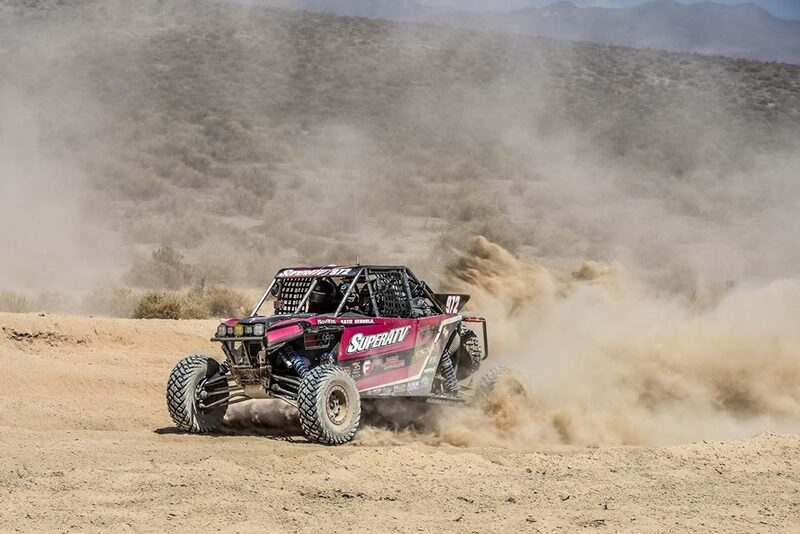 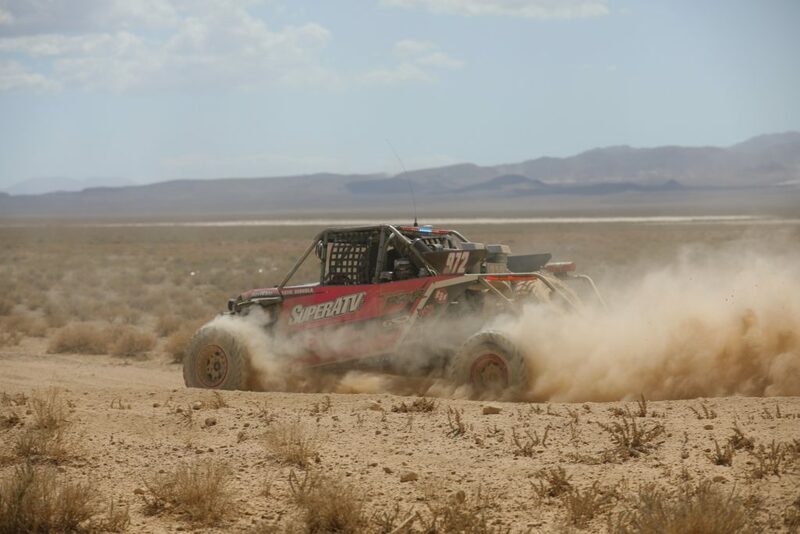 That, combined Super ATV hard parts, made her car stand the torturous test of one of the most difficult Vegas to Reno courses in recent history. 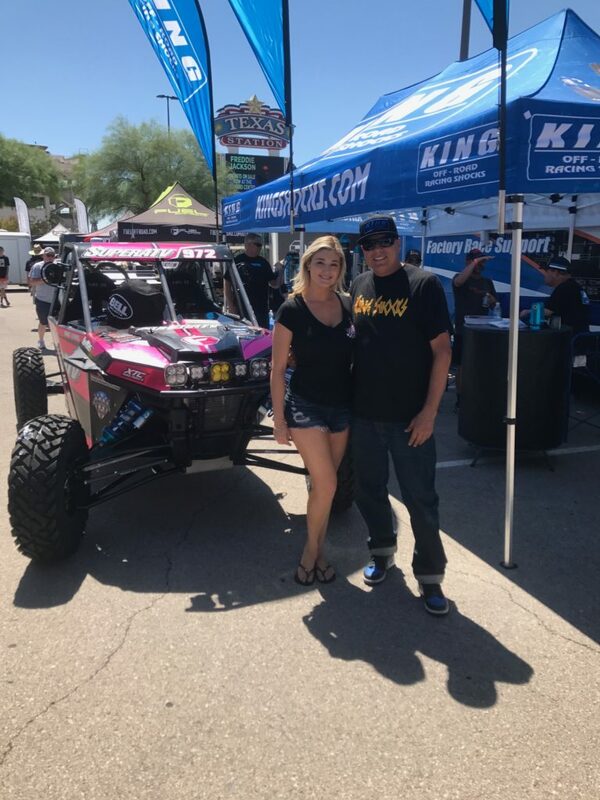 Jim at Addict Racing Engines did the tuning with DW Performance and Pete at Got Sand Performance, who built and prepared the car, rounded out her already stout group of sponsors. 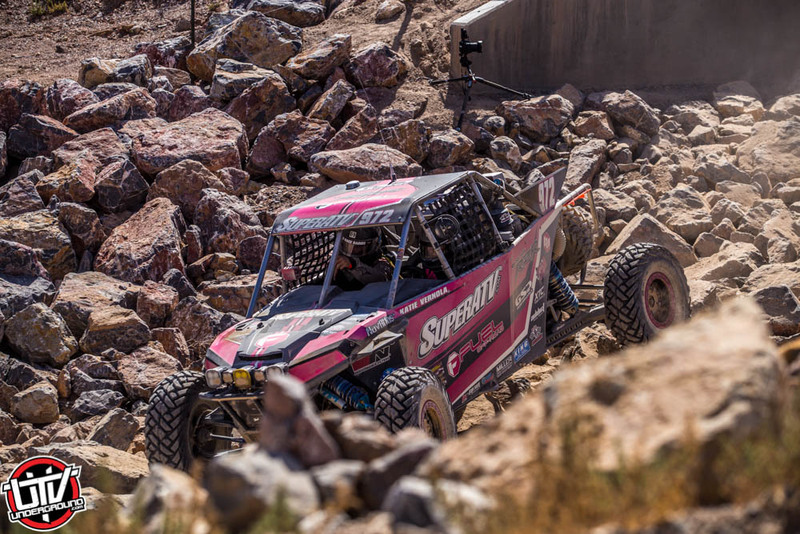 Vernola set a goal to solo the race which she exceeded and finished in front of many factory back teams with driver switches throughout the 540 miles. 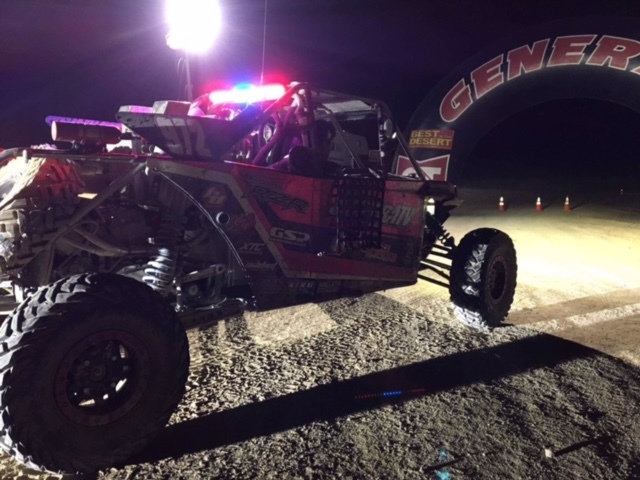 Huge accomplishment!!! 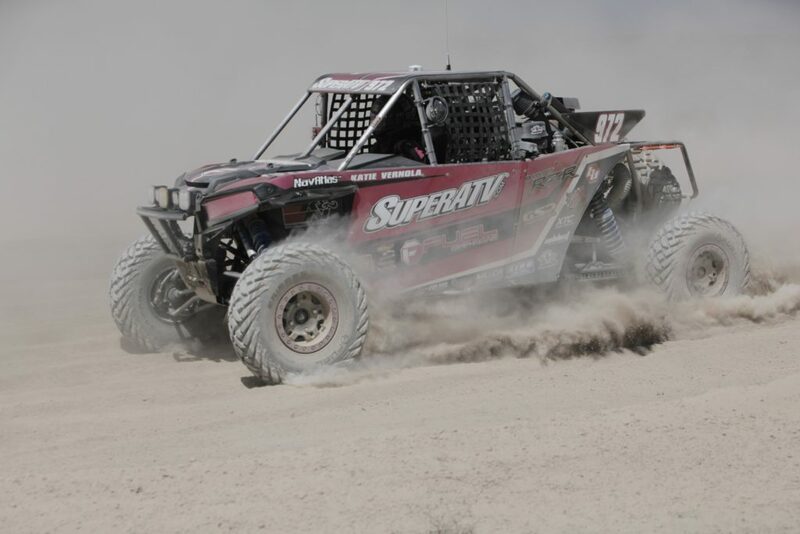 Vernola will be ready to rumble as BITD heads to Caliente, NV for the next race September 23-24.